This function allows the users to configure various modes of payments that students can use to pay off their fees. MOE finance department will configure various modes of payments that students can use to pay off their fees. Main Menu > Setup SACR > Product Related > Student Financial > Cashering > Tender Keys. 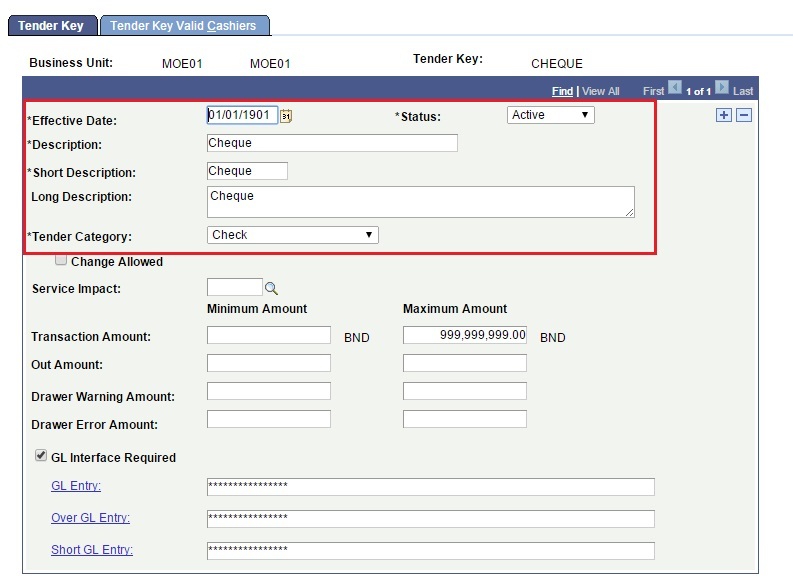 Enter value in the Business Unit and Tender Keys field. 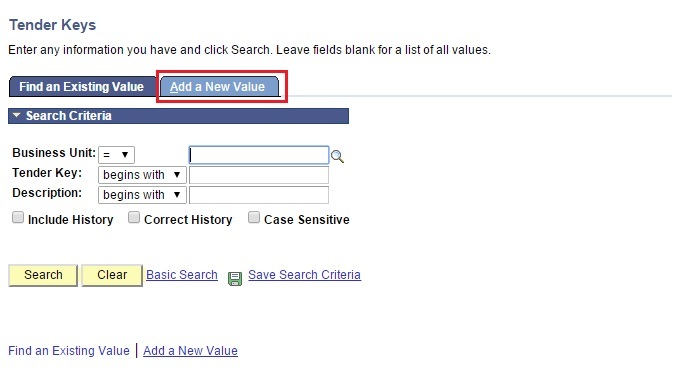 Enter a value in the Effective date, Status, Description, Short Description, Long Description and Tender Category field.